after i bought my standard size bayswater for my 21st birthday last summer, i have became utterly obsessed with everything mulberry. the quality is unbelievable and the bags can truly last you a lifetime if you take care of them. i bought this beauty on ebay a while ago for a really good price and i think the colour is wonderful. literally a match made in heaven for my blue suede pistol boots (as it’s hard to think of things to go with them sometimes). the size is perfect for every day use as it fits all my things in and i love the fact that it comes with a strap. i’ve put off posting this since i got it as i always feel a bit strange talking about designer items. i see buying more expensive accessories as an investment and it’s something i think very carefully about. i know i don’t really have to justify myself, but just so you’s know i’m not throwing my money about (as i haven’t got enough of it to do that!). i do love it but have to be super careful using it due to the material and colour. 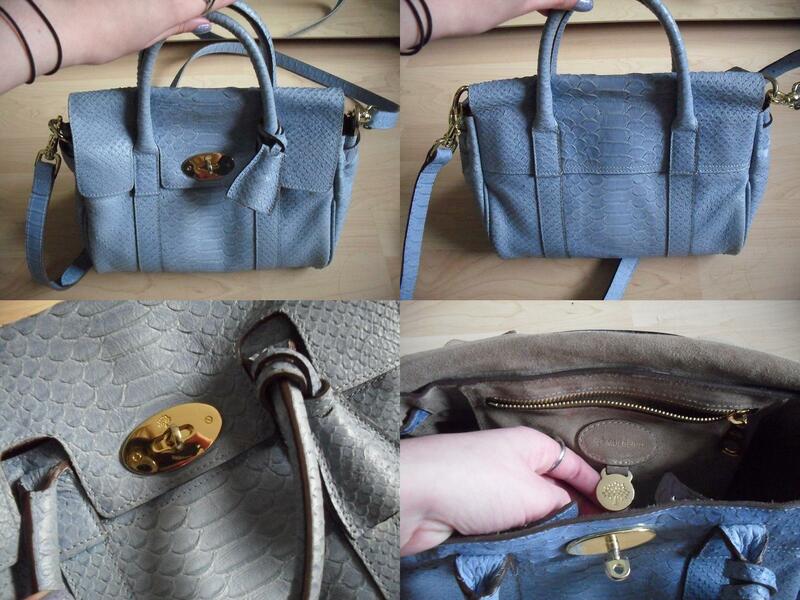 i would massively recommend mulberry as a brand if you’re looking to make a special bag purchase, you wouldn’t regret it!